Seeq® is an advanced analytics solution for process manufacturing data that enables organizations to rapidly investigate and share insights from data in historians, IIoT platforms, and database web services—as well as contextual data in manufacturing and business systems. Seeq’s extensive support for time series data and its inherent challenges enables organizations to derive more value from data already collected by accelerating analytics, publishing, and decision making. With diagnostic, monitoring, and predictive analytics powered by innovations in big data and machine learning technologies, Seeq’s advanced analytics solutions help organizations turn data into insights to drive process improvement and increase profitability. Unmanned well sites in remote locations present operational challenges. Data must not only be collected, but it also must be monitored to uncover any discrepancies, and ideally predict any problems before they occur. Advanced analytics software, coupled with a sophisticated data collection system, can address these issues, and also provide additional benefits. The oil and gas industry, like many others, is collecting and storing ever larger volumes of data. Although, there is value in this data, it is often difficult to unearth using conventional analysis tolls such as spreadsheets. 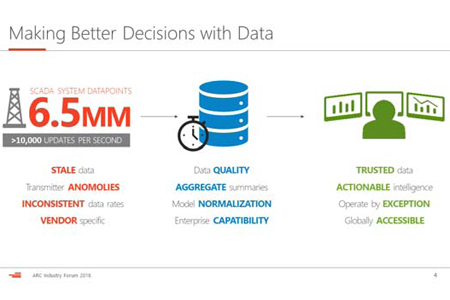 To address this issue, new data analytics software platforms are being introduced specifically to deal with time-series data. The data generation and collection strategies at the center of manufacturing processes have evolved dramatically, especially in recent years. Process manufacturers now collect and store huge volumes of data throughout their operations, both on and off premise, across multiple geographic locations, in an increasing number of separate data silos. 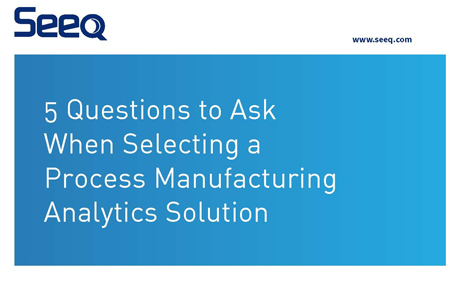 In this paper, we propose five questions we believe every process manufacturing buyer should ask when evaluating a data analytics solution. Often the first notification of a spill comes from a member of the public, hours and sometimes days after the first spill. This can intensify public health and environmental impacts and the cost of clean-up efforts. 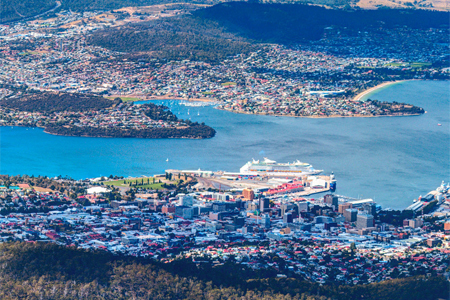 Following a sewer spill at an environmentally significant site at Midway Point in August 2017, TasWater sought a way to reduce the likelihood and impact of spill events occurring in the future. Like many other energy companies, Devon Energy, a leading independent oil and natural gas exploration and production company in North America, generates huge volumes of data. The company’s SCADA system monitors 6.5 million data points from multiple sites, with more than 10,000 updates per second. Businesses rely on process units meeting or exceeding their operational plans. To ensure that operational plans are achieved, it is important that equipment operates as designed (i.e., delivers the required performance) and continues to operate in an optimum manner (i.e., remains reliable, in a good condition). The most common causes of missing operational plan targets are equipment failure, which results in unplanned downtime, and low quality or yields from production processes. At ARC Advisory Group’s 20th Annual Industry Forum in Orlando, Florida, Shawn Anderson, Senior Research Specialist for Fisher Valves, a division of Emerson Process Management, gave a presentation on how the company is leveraging the Industrial Internet of Things (IIoT) to help end users reduce valve-related unplanned downtime. Seeq will join more than 500 control system integrators from around the globe on April 24-27 in San Francisco for the Control System Integrators Association (CSIA) Executive Conference.